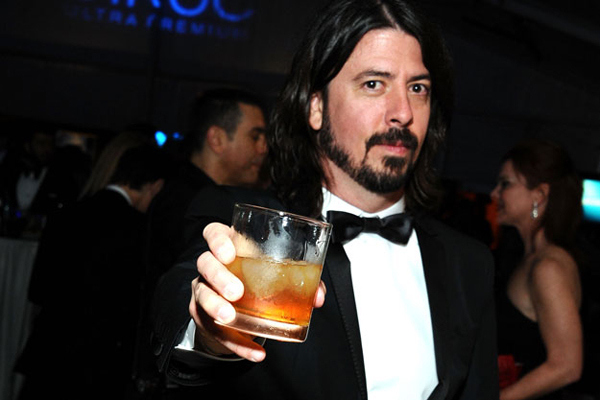 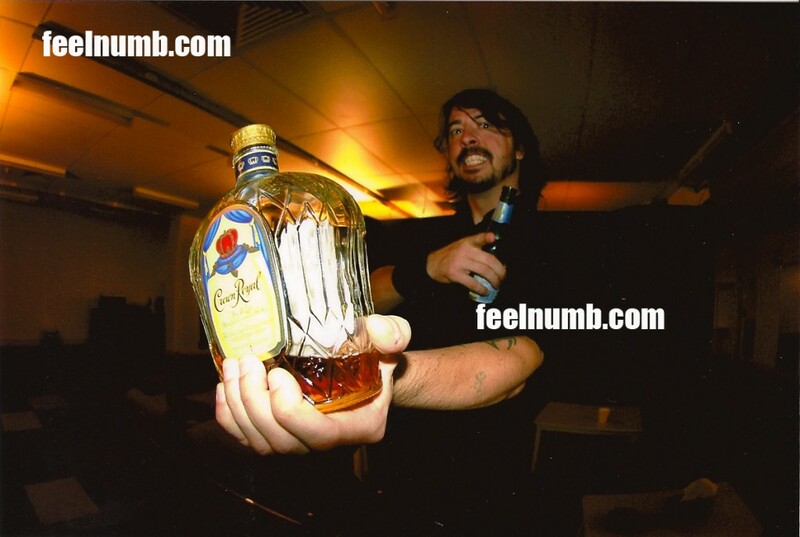 Crown Royal is obviously Dave’s drink of choice as it is included in the Foo Fighters backstage riders and there seems to be a hundred interviews where he somehow mentions Crown Royal Whiskey. 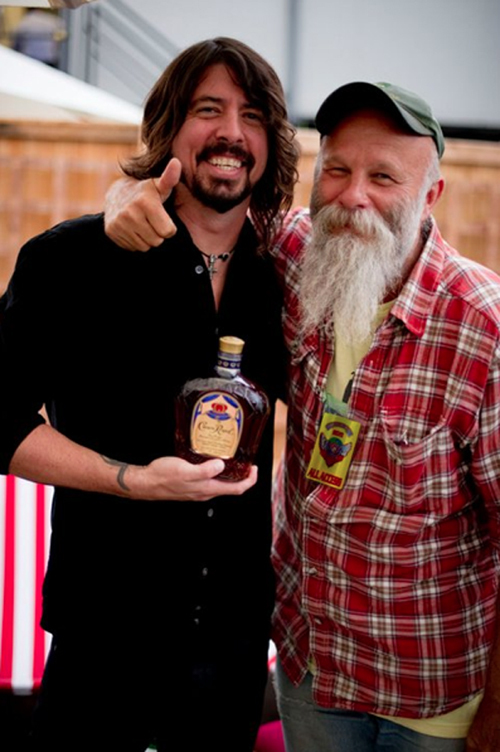 Here’s a cool photo of Grohl, Seasick Steve and a bottle of Crown Royal. 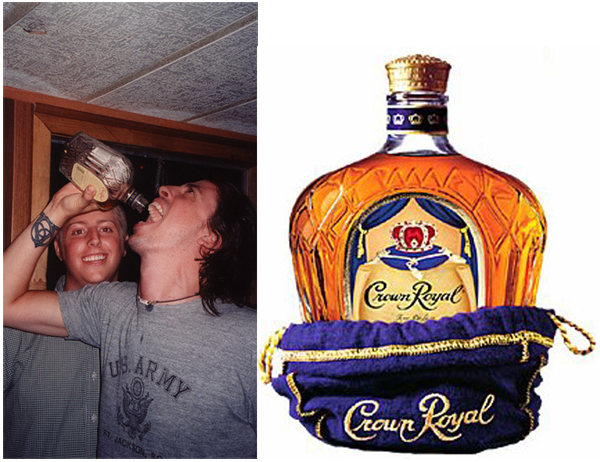 Check out this post we did before on a fake drunk Dave with a bottle of Crown Royal on his lap talking about Nirvana.